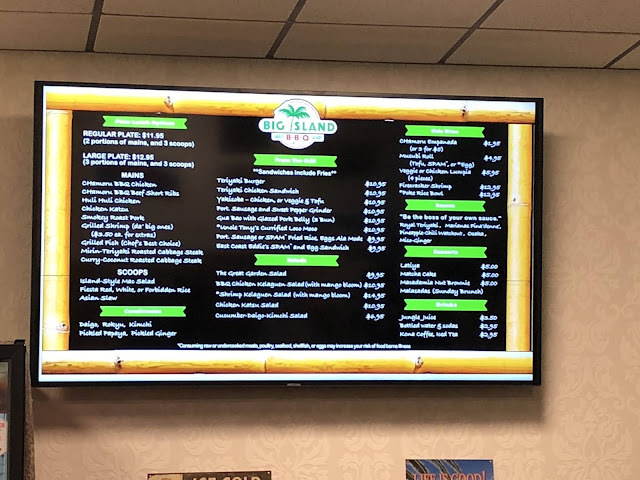 Some of the best dishes from the Pacific Islands are coming to Liberty Lake, by way of the menu at Big Island BBQ. They open to the public tomorrow morning at 8:00am but tonight we got sneak peek of their place. 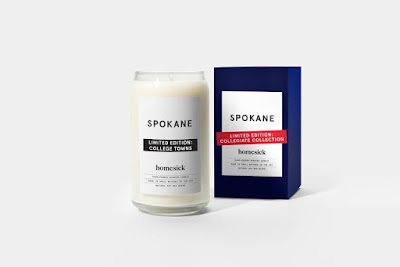 It sounds like a joke, but yes, you can now make your home smell like Spokane. I mean you could also just open your window if you still live here but fresh air is overrated anyways. But, judging by the candle companies name it's somewhat geared towards those who have left and are "homesick" . 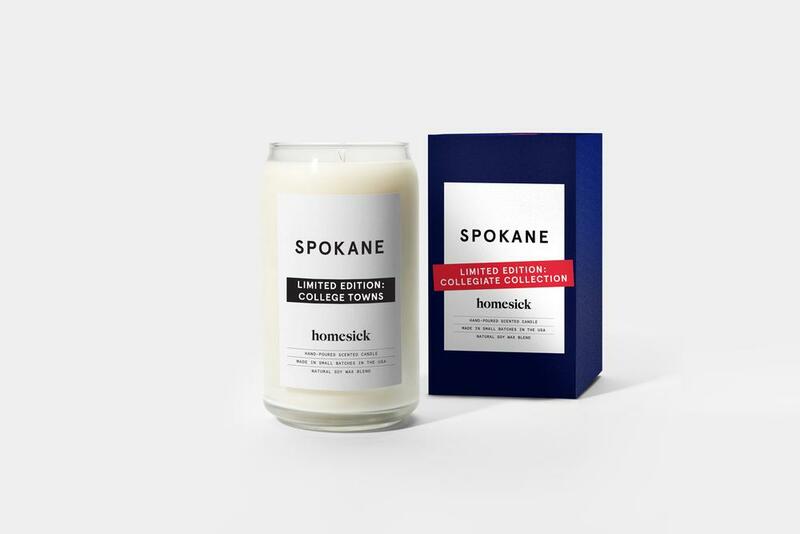 The Spokane candle is made by Homesick Candles, a growing company that's made a name for themselves selling candles that have scents of many different cities, states and even countries. There are even some that are supposed to have scents that bring back memories of holidays, special places and even special occasion's. Homesick Candles are sold at $29.99 and are made in the US from all natural soy wax meant to burn for 60-80 hours.
" herbs and honeysuckle reminiscent of Centennial Trail hikes through the sunny side of the state. Home of 3 on 3 basketball. Notes of carnation to celebrate fathers around the world " . The new Rathdrum STCU branch will be a new construction building. With 3300 square feet at the SW corner of Hwy 41 and Vera St., directly across from Lakeland Junior High School. The new branch will feature drive through tellers, ATM access and all of STCU's services. The credit union says since their first 2 locations in Idaho opened in 2007 STCU's membership has doubled, with 15% of members coming from Idaho. This new location is a response to the growth which they expect to continue as the area grows. 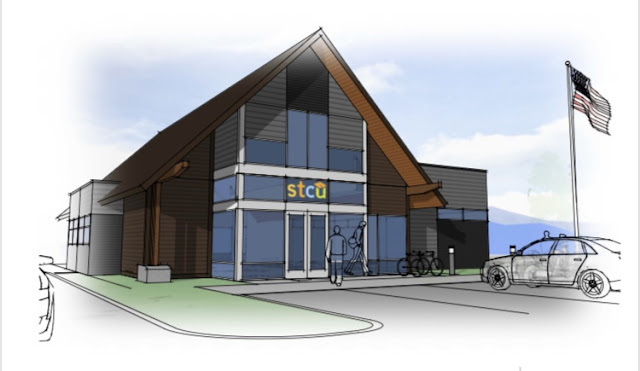 The new branch in Rathdrum will be STCU's 24th location, including 2 newly opened branches in the Tri-cities. A third branch for the Tri-Cities market is expected to open later this year in Pasco. STCU was founded in 1934 and today has more then 190,000 members and $2.9 billion in assets. 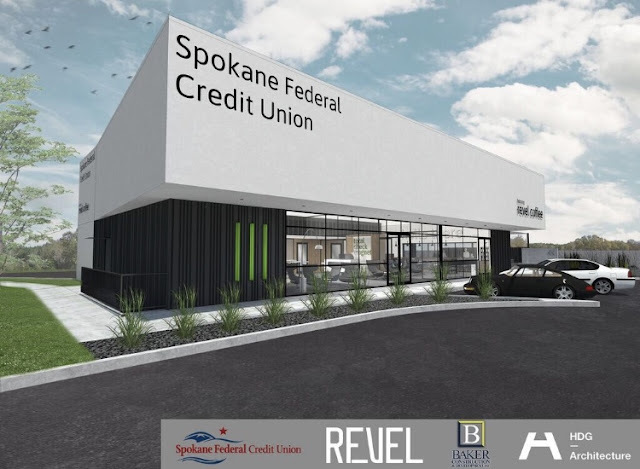 Earlier this week construction kicked off to renovate an existing building in Spokane Valley into a branch for a growing local credit union and a coffee shop. The building, which is at 13105 E. Sprague Ave. has been a mini mart and used car dealership in recent history and will be completely redone with an all new modern look. 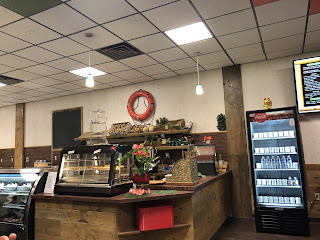 Design work for the project was done locally by HDG Architecture and construction will also be done locally with Baker Construction acting as the general contactor for the project. They estimate to have the project done and the businesses open sometime around July of this year. Spokane Federal Credit Union will be the main tenant taking 2100 square feet. 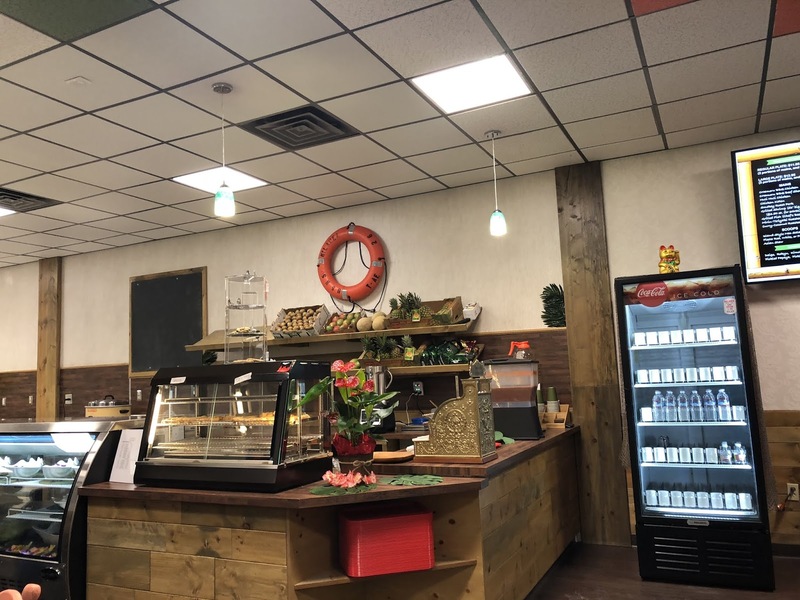 The new location will be staffed by about 3-4 employees trained in both member services and loans so no matter what the need, someone will be able to help. This is Spokane Federal Credit Union's first location outside of the City of Spokane, currently they are based nearby the Spokane Arena at 601 W. Mallon Ave. . 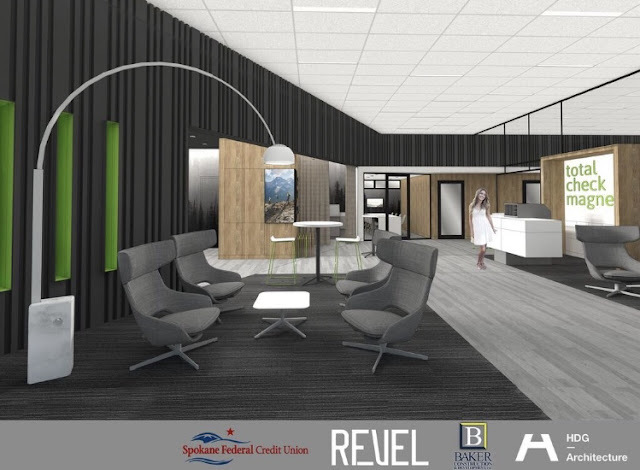 The Credit Union says they have heard members need for more access to banking in Spokane Valley and are excited to begin this project. The remaining 1200 square feet of the building will be a new Revel 77 Coffee shop. 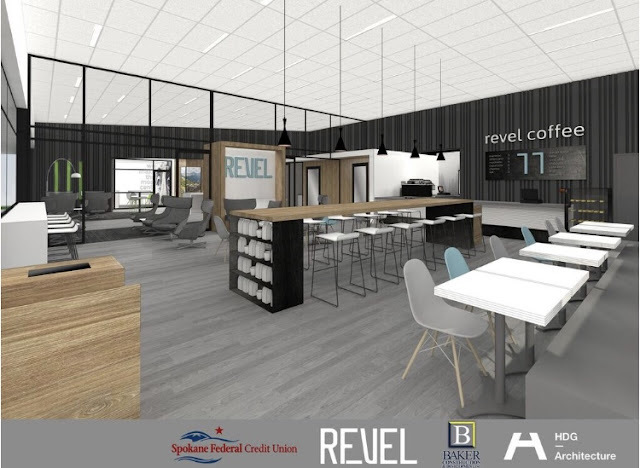 This will be the second location for Revel 77 Coffee, which opened back in 2012 on the South Hill at 3223 E. 57th Suite K. The new Spokane Valley location will be similar to the South Hill store. Flatstick Pub, a Seattle based pub and restaurant has announced they will open in the remaining vacant street level space of The M building ( the former Downtown Macy's ) in Downtown Spokane. Flatstick Pub is a unique concept developed by Spokane natives Sam and Andy Largent. There locations are casual beer pubs that also feature a challenging 9 hole miniature golf course in the same place. 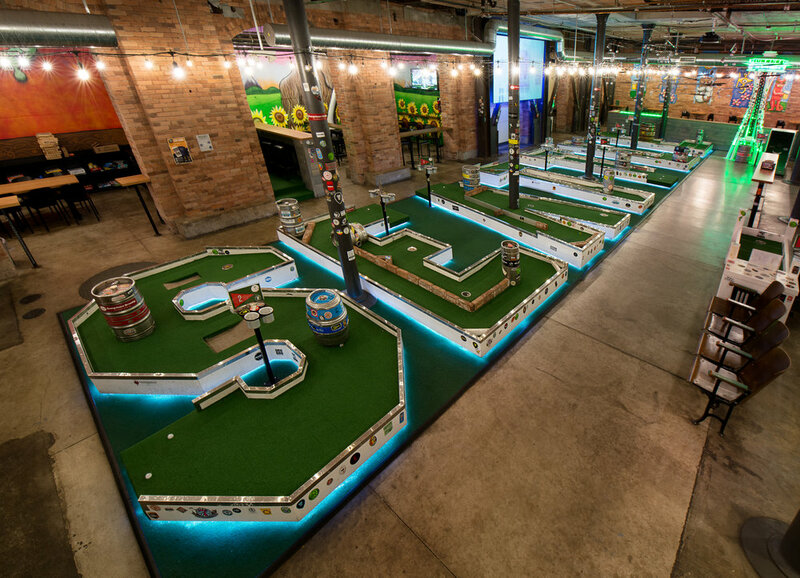 In addition to the mini golf, customers can play a selection of golf themed games that we're invented by Flatstick. Those include Duffleboard, Cup Hunter, Stick Putt and 2 more new games set to debut with the opening of the Spokane location. The Pub will have 30 taps pouring only locally made beer, cider and wine. 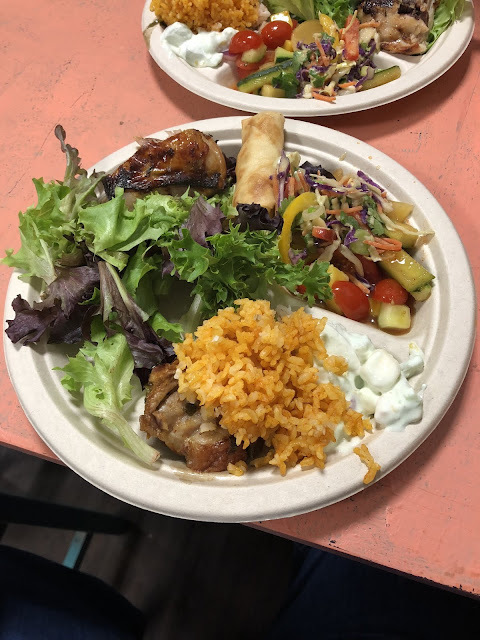 The owners also will partner with Seattle based restaurateur Ethan Stowell to develop a cool new food menu. The entire place will be open to all ages until 7pm each day and they note it will even by dog friendly. The Spokane Flatstick Pub is to open late this year, and they are also developing another location in Tacoma that will open around the same time. Currently they operate 3 very popular locations in the Pioneer Square and South Lake Union neighborhoods of Seattle and one in Kirkland. 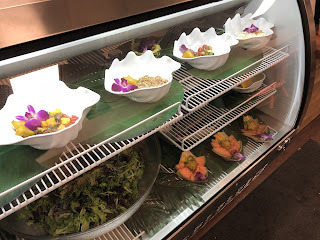 The company was founded in 2014 and has grown quickly, as is expected of such a cool and unique concept. They also are excellent community partners, giving $140,000 to charites in 2018 and they plan to continue donating in the each of the areas they operate. There have been some rumors lately that the Spokane landmark, The Donut Parade, might be reopening. And, now our friends over at KREM 2 News have confirmed this and they even have the scoop on what the newly revamped Donut Parade will include. Even though it sounds like it will still be largely the same as before! Here’s there story from the KREM 2 YouTube page, we’ll try to get a story of our own closer to when they open. Soon the At Home chain will have 2 places to call home in the Inland Northwest. Earlier this year it was confirmed that At Home will be opening in a part of the former N. Division Costco building. That store is supposed to open sometime around April of this year and will soon after be joined by a Texas Roadhouse and another yet to be named tenant. But, that won't be the only store in our area for the Texas based chain. The company will also begin construction soon to convert the former Kmart store in Coeur d' Alene into another At Home store. The store will occupy the entire building, meaning the store will be about 87,400 square feet or a similar size to the planned Spokane store. The Coeur d' Alene store will open sometime later this year, we will update when we know a more exact date. Improvements will also be done to the site, including a full renovation of the area that was Kmart's garden center. That space will not be part of the At Home store but will instead be a multi tenant commercial space for retail and restaurants. The main building will also be largely updated. At Home is a Plano,TX based chain of big box stores that carry over 50,000 unique items including furniture, garden, housewares, rugs, home décor and a lot of seasonal merchandise. They consider themselves " The Home & Holiday Décor Superstore ". They are adding new stores rapidly but a recent count showed them at about 600 stores. These will be the first At Home stores to come to our area however. Soon the Spokesman Review will no longer be printed in Downtown Spokane, like it has been for so many years. 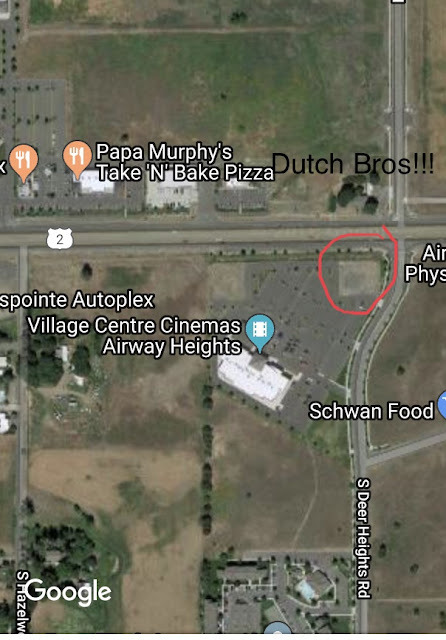 The Spokesman's owner Cowles Co. recently announced that all printing will be shifted to a new facility in the 19000 block of E. Euclid, close to the Spokane Business & Industrial Park. The move will likely happen around the end of the year with all 70+ employees keeping their jobs. The new Spokane Valley Spokesman Review facility will also house a newly purchased smaller, more versatile printing press. The hope is that they can expand their outside printing contracts as the new press is able to print more efficiently and at times in smaller batches. A key part of the Spokesman's move is freeing up the prime Downtown spaces for new uses. Currently the Spokesman Review is printed a huge 168,000 square foot building on Monroe St, just steps away from some of Spokane's best shops and dining. They say the building could be easily converted into breweries, restaurants or retail. Although there are no plans set just yet as the facility will still be printing the newspaper throughout much of 2019. The rumors are true! Dutch Bros. Coffee is coming to Airway Heights! The location will be the 10th in the Spokane area and will open sometime this Summer. It will be located at the corner of US 2 and Deer Heights Rd. nearby the Village Center Cinema movie theater.